In some sports, use of performance enhancing drugs continues to be widespread.Â Cycling is one of those sports. Cofidis rider Remy Di Gregorio of France has been arrested at his team hotel in connection with a Tour de France doping investigation and suspended by his team. Judicial officials said Di Gregorio was arrested on Monday night. The officials requested anonymity because they were not authorised to speak publicly as the investigation is ongoing. Two other people suspected of supplying Di Gregorio with banned substances were arrested, officials said. One along with the rider in Bourg-en-Bresse, and another in Marseille. Cofidis said in a statement that it will stay in the race but Di Gregorio is “provisonally suspended” pending the outcome of an investigation. “The suspicion surrounding the rider that has been implicated, Remy Di Gregorio, led us to strictly and immediately apply our team sanctions for breaking ethical rules,” the French team said in a statement. 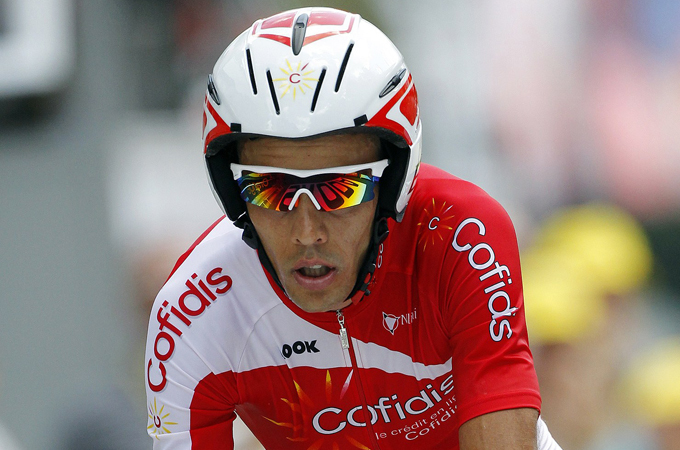 Cofidis said Di Gregorio will be fired if convicted of any wrongdoing. Di Gregorio’s team was staying in Bourg-en-Bresse on Tuesday, the Tour’s first rest day. The investigation began last June and is led by the French police agency responsible for doping investigations, OCLAESP, and Marseille police. The 26-year-old Di Gregorio was in 35th place after Monday’s ninth stage. The Marseille native turned pro in 2005 with French team Francaise des Jeux, and was once considered one of the most promising young French riders. When the investigation began last year, Di Gregorio was riding for Astana. He won one stage in the 2011 Paris-Nice race with the Kazahk team. This season, he has had one stage win, in the Spanish Tour of Asturias in April. In the 2008 Tour de France, Cofidis pulled out of the race following Italian rider Cristian Moreni’s positive test for testosterone. In 2004, French police arrested then-Cofidis riders David Millar of Britain and Cedric Vasseur of France in another doping investigation involving the team and seized male hormones, EPO and amphetamines. Another former Cofidis rider, Phillipe Gaumont, accused several of his teammates and the team doctor at the time of wide-spread doping.